You just had a wonderful holiday party at home, and the last guest has left. But now you have the chance to survey the damage: mulled wine splashes dot the carpet, every cooking utensil you own soaks in the sink and splatters of grease cover the cabinets in the most out-of-the-way places. And the bathroom? Well, it looks like a bathroom would look after a fun-filled gathering. Suddenly, this cleanup job is looking more overwhelming than actually planning the event. That's why we've collected the most useful tips and tools to make your post-shindig cleanup fast, easy and thorough. 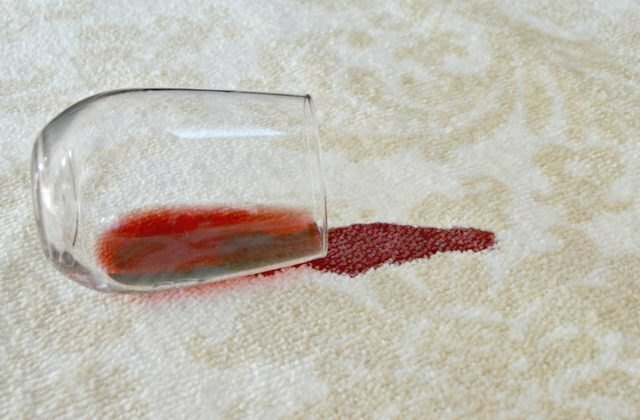 Whether it's the night of the party and you notice a stain when it happens, or it's the morning after and you panic at the sight of dried red wine on light carpet, there's an easy solution to bring you immediate calm. Learn how to use shaving cream to carefully remove tough carpet stains. It's a good place to start: a small but urgent issue. Once stains are removed, it's time to move onto surface cleaning. 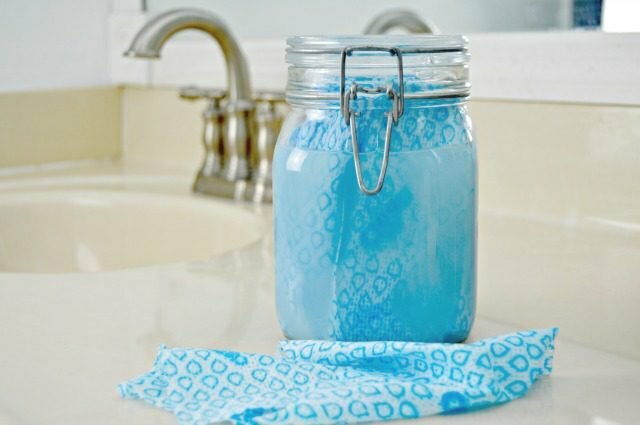 Make your own reusable cleaning wipes to get bathroom and kitchen counters completely clean with minimal effort (and natural ingredients). 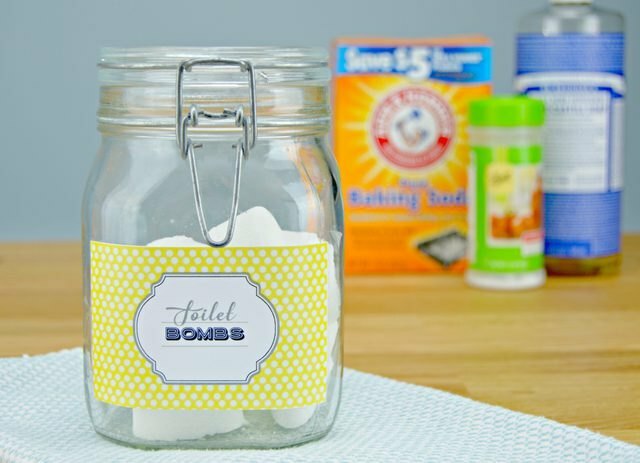 Once you have these homemade toilet bowl cleaners made, you'll be able to throw one in and let it clean the toilet for you while you work on the sink. At this rate, you'll have the bathroom cleaning done in minutes so that you can move onto holiday party central: the kitchen. It usually happens this way: you power through all of the dishes, leaving the big heavy ones for last — including your slow cookers. They did a lot of work for your party, but now it seems like you'll be doing even more work to clean them. Here's your solution: clean your slow cookers thoroughly, easily and water-free. So you've conquered the hefty tasks. Now, you can move onto more challenging items — without spending the time that deep-cleaning usually requires. 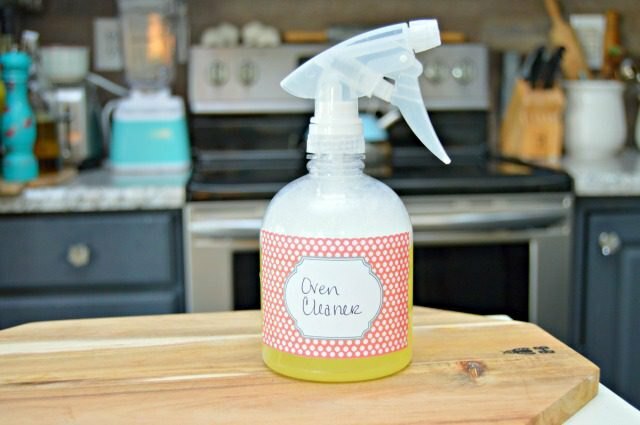 Make your own homemade oven cleaner to naturally and easily wipe away caked-on grime in your oven. Those food and grease splatters you noticed immediately after the party? They're in more places than you think. 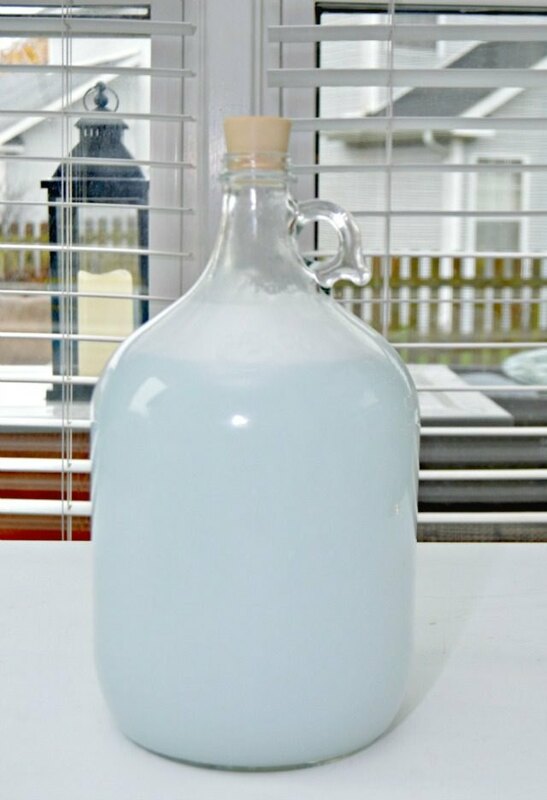 While it can be tough to find a cleaning product that's safe on wood but effective on grease, it's easy to make your own. 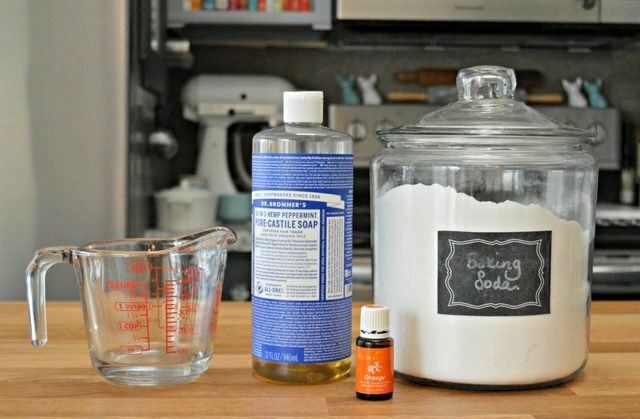 Make a homemade kitchen wood cleaner for a quick cabinet clean. It can be equally tough to find a chemical-free cleaner that won't wipe off your paint with the grease it removes. 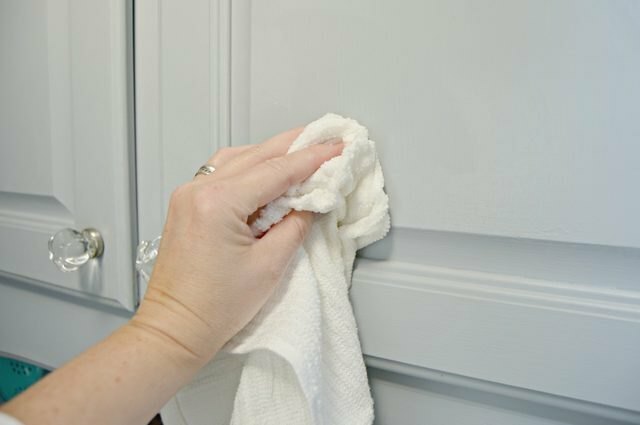 Make a homemade wall-cleaning solution that's gentle, chemical-free and effective at tackling those pesky smudges. Now, your walls will be back to normal. If you have a hardwood floor, then you haven't had to bother with messy carpet stains. But, this surface can still get dirty. 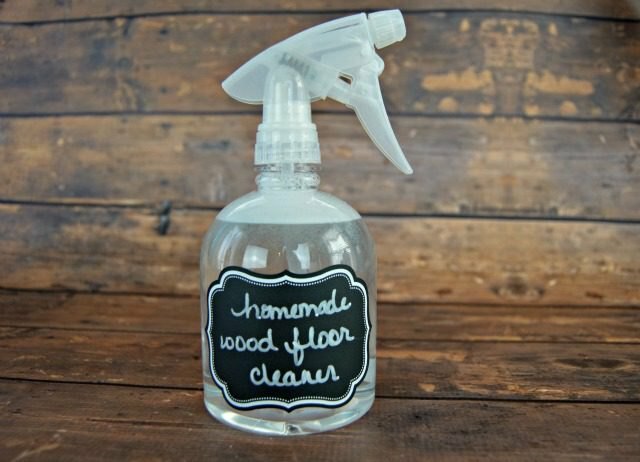 Here's an easy, homemade wood floor cleaner to take care of both small and large messes without worrying about damaging the wood's finish. Your spot cleaning may have cleared up all of the obvious messes earlier, but didn't necessarily clean the carpet. 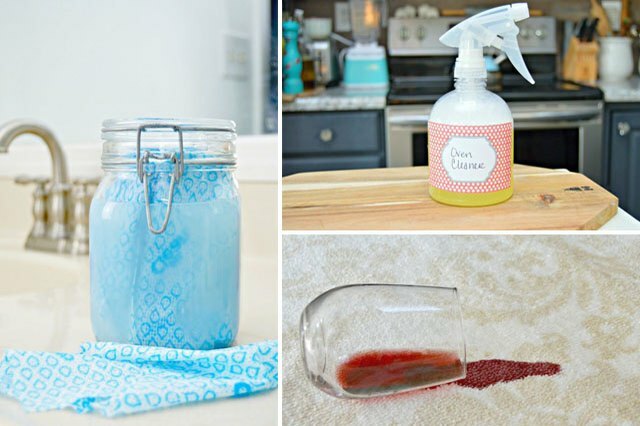 To get a deep, chemical-free clean that leaves your home smelling like fresh laundry, try making your own carpet cleaner. At this point, your house is thoroughly clean, but if you want to make sure it's completely free of all holiday party residues, deodorizing the trash cans with baking soda is the perfect finishing touch.